Now available is the complete series of 11, EXPLORE WITH ME GEOLOGY, sold as a set. Each collection comes with 10 specimens (except Rocks and Minerals which includes 24 specimens, Tumbled Treasures which includes 24 specimens, and Marvelous Minerals Experiment Set which includes basic testing tools and 4 specimens) packaged in a storage container and includes an identification chart with images and a brief description. 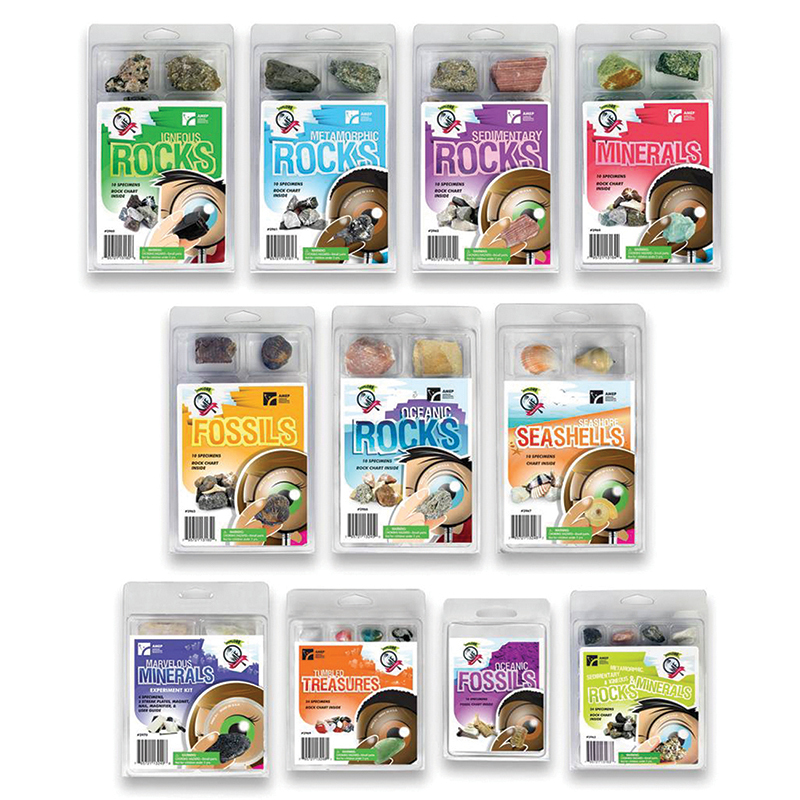 This is a perfect starter set for the young budding geologist!